Tobias Roberson is known for his innovative style and improvisational ability on the Middle Eastern Doumbek and Flamenco Cajon. Performing and teaching for 15 years, he has collaborated with many artists including the San Francisco Chamber Orchestra, eastern European vocal Kitka, body percussionist Keith Terry and top belly dance stars including Rachel Brice & The Indigo and Fat Chance Belly Dance. He is a featured artist on more than 20 CDs and DVDs spanning many genres. 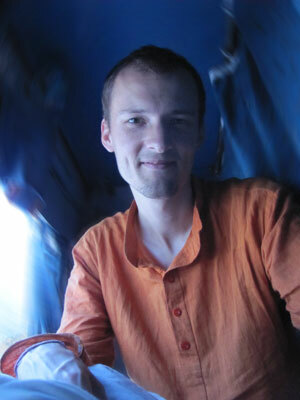 Tobias’ love of music has taken him to many corners of the earth including Egypt, Turkey, Greece and 4 1/2 years in Mysore, India. There, he studied classical Carnatic music on violin, veena and voice with local musicians and yogic lifestyle, philosophy and Sanskrit under Dr. K.L.S. Shankaranarayana Jois.